'It's A Learning Curve': Alessia Cara On Growing Up, The Grammys And More The Canadian singer-songwriter took home the Grammy Award for best new artist in 2018. Now she's back with her sophomore album, The Pains of Growing. "At the and of the day, I feel like your purpose can come from making one person feel like they're not alone," Alessia Cara says. 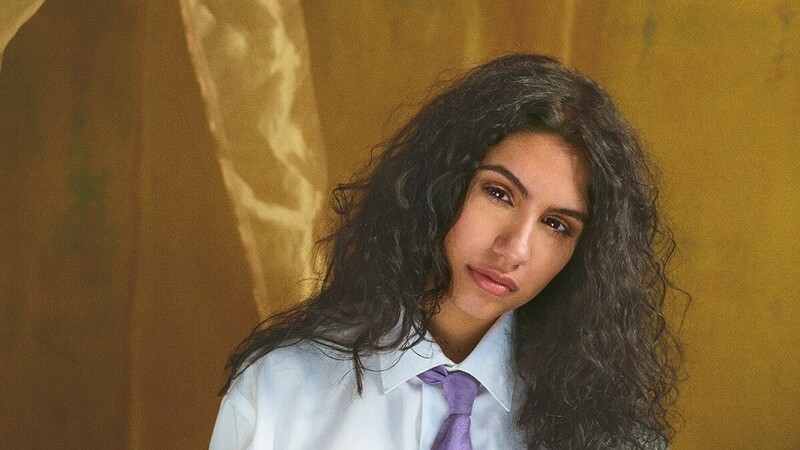 Those awkward, angsty teenaged years have long been fodder for pop music, but Alessia Cara has her own take on them. Her sensible, subdued pop songs like smash hits "Here" and "Scars to Your Beautiful" and laid-back demeanor speaks to millions — wallflowers, misfits and extroverts alike — who are just trying to figure themselves out. Maybe that's because Cara is still figuring herself out, too. The singer-songwriter's sophomore, The Pains of Growing, out now, is a continuation of her messages of self-love, only this time, with added notes of her own apprehensions about success, adulthood and the world we're living in. Cara wrote the album's lead single "Growing Pains," two years ago during a time when she felt spread too thin and lost within herself. Cara calls this song the "initial impetus" for the rest of the album. "I had become, you know, the artist who talks about positivity, and being yourself and loving yourself, yet for a while there, I kind of lost that within me," Cara says. "It's totally fine if you believe those sentiments, but you don't believe them everyday because it's a learning curve, it's a process." Cara remains down to Earth while she trusts the process. She still lives at home with her family and writes music in her childhood bedroom. And while some of her pop contemporaries present images of high glamour and gloss, the 22-year-old prefers to keep her style, like her music, honest, simple and comfortable. "It just doesn't feel like me," she says. "I just never understood the reason to have to look like that if you want to be successful in his industry. I never understood why those two things go hand in hand." Critics have noticed her unique approach to music, too. This past January, the Canadian singer won her first Grammy, beating out SZA, Khalid, Julia Michaels and Lil Uzi Vert in the category of best new artist. "I never thought I'd achieve something like that so early on," she says. But the moment was bittersweet. There was controversy surrounding Cara's win. Some music fans — or more specifically, social media haters — claimed her debut album, 2016's Know-It-All, had been out too long for her to qualify in the best new artist category. (As of a Grammys rule change in 2016, in order to be eligible in the category, the artist must not have subsequently won a Grammy, have released a minimum of five tracks or one album, and not be entered into the category more than three times.) Cara was also the only woman to win an award during the night's televised broadcast, prompting the social media hashtag #GrammysSoMale and sparking a conversation about the award show's need to evolve. Cara says all this baggage that came with her win slightly spoiled the experience for her. "It was an innocent dream of mine for my whole life and when politics go into it and the Internet gets involved, unfortunately, it becomes a little tainted. I wish it didn't affect me, but it did," Cara says. "There were people who were claiming to be feminists, saying, 'There's a lack of representation and we're upset about that.' ... But then those same people were saying mean things about me. So how can you say, 'We want female representation, but then saying, 'But not you'? That's not feminism." But Cara says that she channeled the bittersweetness of her Grammy moment and other realizations about the music industry into The Pains of Growing. Now with two albums under her belt, Cara says she's still trying to figure out what her purpose is through music. "But at the and of the day, I feel like your purpose can come from making one person feel like they're not alone and just know that it's OK if they don't have it figured out."